The British public throw away 720 million egg every year due to an over-reliance on 'best before' dates, food waste campaigners say. Just under a third of the public (29 per cent) throw away eggs just because they have passed their 'best before' date, with the average household binning more than 2.2 eggs a month. This wastage has cost £139 million since 2008 and is three times more in volume since that year, according to the food waste campaigning group Too Good To Go. This is despite the fact that eggs are often safe to eat even after the date on the packaging has passed. The Food Standards Agency (FSA) also notes that eggs can still be eaten up to two days pass their best before date provided they are cooked thorough to the point the yolk and white are solid. Meanwhile, figures show that consumers are buying more eggs. 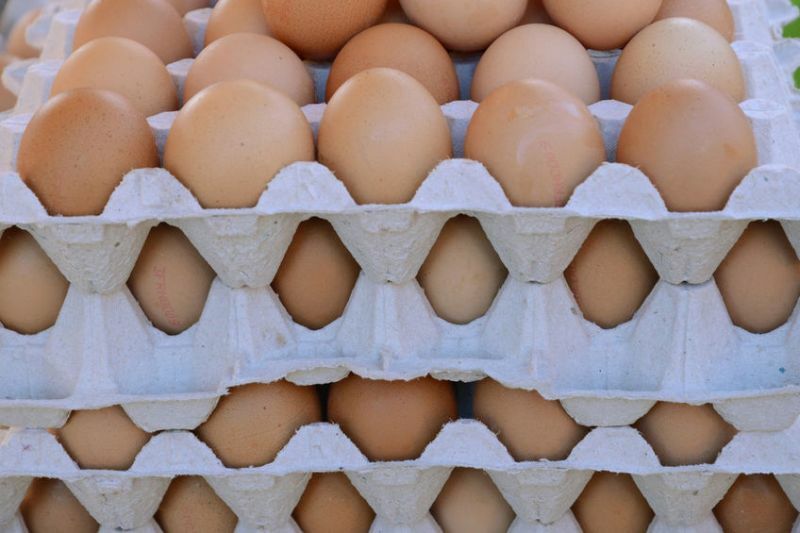 In 2018, the public bought 7.2 billion eggs which is a 4 percent rise on the previous year, according to the British Egg Industry Council. Jamie Crummie, co-founder at Too Good To Go says: “If you've been throwing your eggs in the bin based on the dates on the box, you’ve probably been wasting perfectly good food. The group is urging Britons to use the water bowl test to check the freshness of their eggs to help cut down on food waste. Retailers are joining in efforts to help prevent perfectly edible food from being thrown away. Last year, Tesco removed best before dates off nearly 70 fruit and vegetable lines in an effort to cut down on post-farmgate waste.